We offer second charge secured loans from £3,000 to £5 million, regardless of the applicants' status or age. We pay fantastic commission to our introducers on the day the loan completes and over 98% of our introducers class our service as 'excellent' or 'very good'. We are still working on the other 1.8% who only classed us as good. Using our own in-house loan sourcing software, LoanQuote™, we can instantly research the market for the most suitable product for your customer. This also provides you with all the research tools you need for your file. no Early Settlement Penalties on many of our loans. unlike so many of our competitors, we do not charge extortionate completion fees on our secured loans. The staff at Specialist Homeowner Finance have unrivalled experience in the second charge secured loan market and the company owner has consistently worked within second charge secured loans since 1983. We know everything there is to know about the secured loan marketplace and what you look for in a secured loan provider. Our products for the self employed are particularly useful. We now have several lenders willing to accept accountant’s projections as income proof, rather than using SA302’s or accounts that could be over a year old. Our unique commission means that for loans up to £50,000, you will know before submitting the enquiry that you will earn a minimum of 4% of the net loan amount with no deduction for processing costs. And you can earn much more commission in some cases if you wish. Our research shows that most introducers do not trust the commission split offered by other secured loan brokers. If you are promised a 50/50 net commission split after processing costs, how do you know how much you will earn? We have heard of some loan brokers that inflate their processing costs £200-£300 to reduce the amount they pay their introducers. We also know some brokers charge extortionate completion fees and only pay you a small percentage of their income. 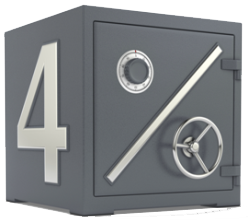 With Specialist Homeowner Finance you will earn at least 4% commission without the rip-offs... Call the Secured Loan Specialists today! Call the second charge loan specialists today!